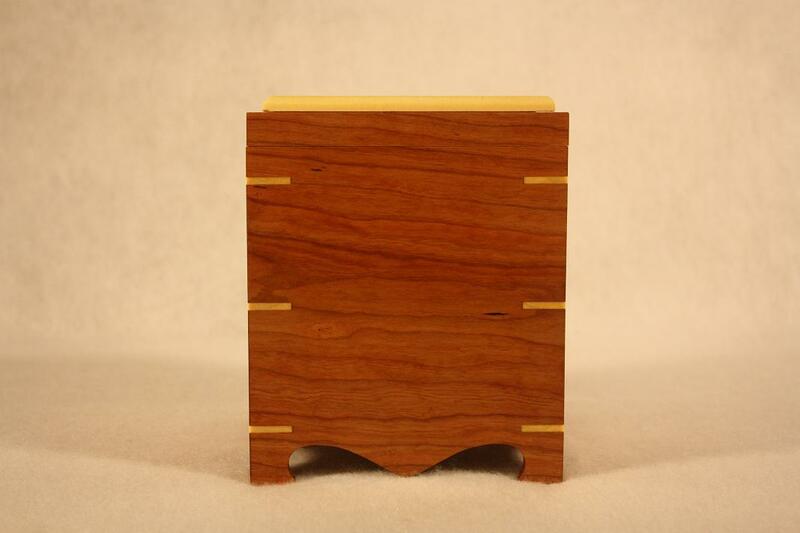 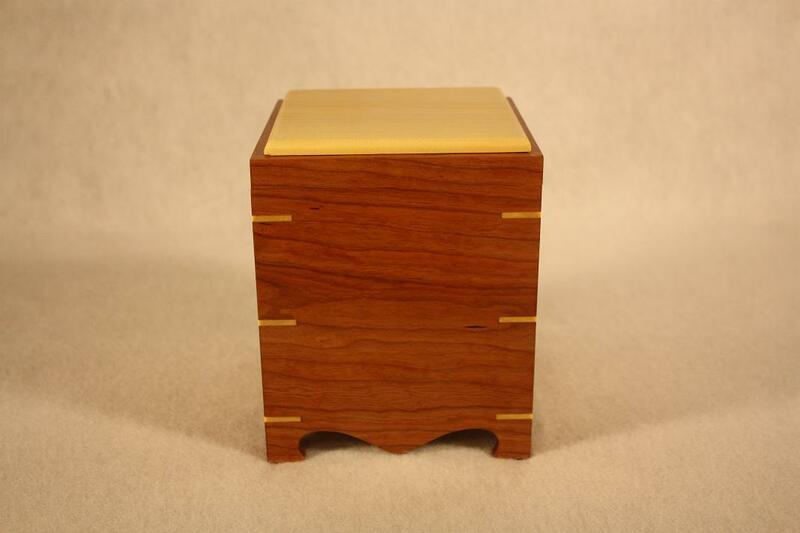 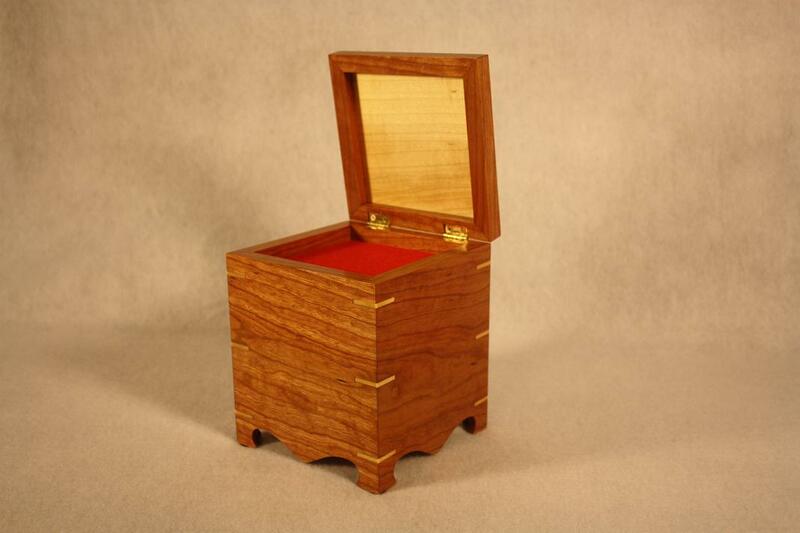 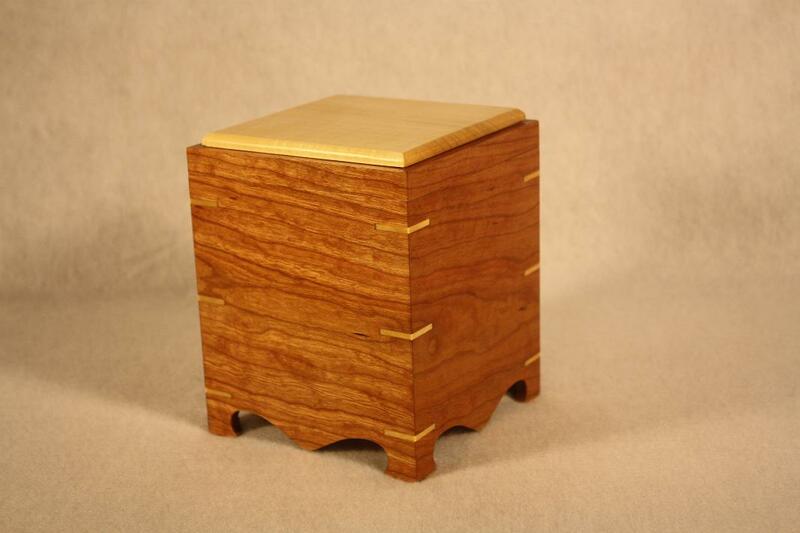 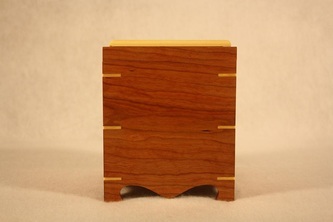 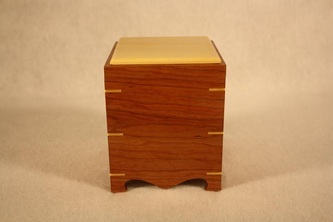 This simple yet elegant pet urn was constructed upon the request of a client. 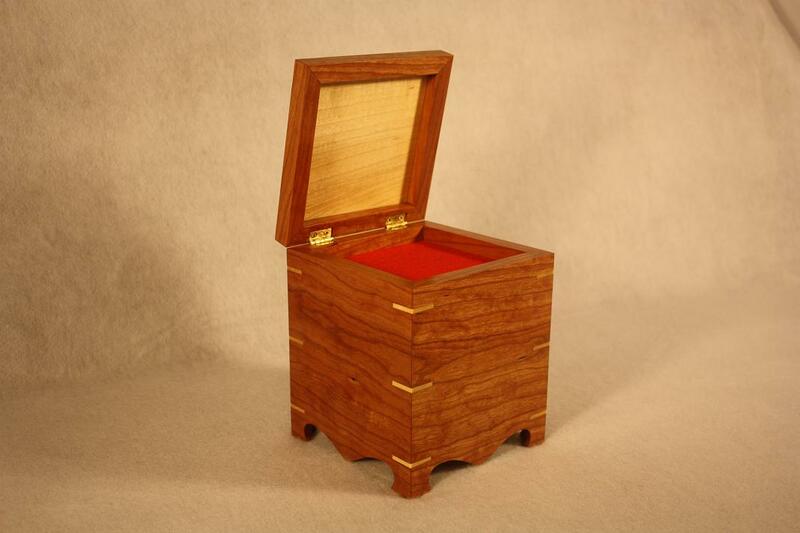 The goal was to make a piece that didn't stand out as an urn and could be used as a nice decoration piece. A small compartment on the top was created to hold cherished tokens of memory like a favorite collar. The remains are sealed inside the box and held in place by a removable bottom.